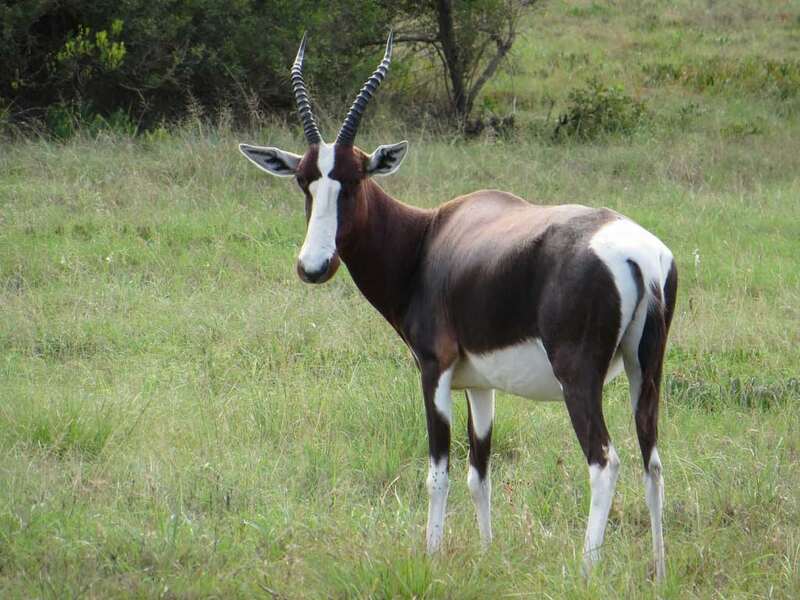 The bontebok is one of the rarest antelope in South Africa and is characterized by its stylish ring-shaped horns, striking markings on its torso, and distinctive white blaze that runs down the center of its face. It wanders across the coastal grass plains, dining on fynbos vegetation in South Africa. Find out more!